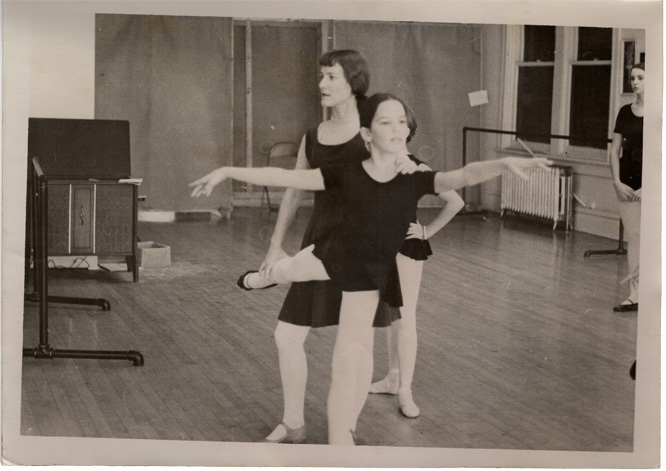 Ask Marcia Dale Weary if her ballet school was always intended as a preprofessional training ground, and she shares a story. As a child, she would sit outside and pretend that she was going to dance class. In 2016, Central Pennsylvania Youth Ballet celebrates 60 years of excellence in ballet education. At the helm those six decades has been its founder, Marcia Dale Weary. She has had devoted support from family, teachers, staff, parents, dance lovers, and students themselves, but Marcia, as she’s known to all, is the guiding light. From childhood, dance has been a constant in Marcia’s life. Her father learned ballroom dancing in military school, and Marcia would stand in dance hall balconies and watch her parents twirl to the music of big bands. “They looked pretty when they danced,” she says. She started teaching dance even before she had her own teacher. “I had a little group of children, and I taught them little dances that I made up,” she recalls. Marcia finally enrolled in dance school at 14, when the family moved to Carlisle. But the school taught a combination of Hawaiian, tap, and baton along with ballet, and only half an hour a week each. Central Pennsylvania Youth Ballet Founding Artistic Director Marcia Dale Weary corrects a student (circa. 1970). Marcia first taught with the school in which she herself started, but she knew that ballet required more than one lesson a week. No more pretending. Perfecting technique meant doing the same move tens of thousands of times. She enticed students by offering one class a week for $6 a month, and any additional classes for free. 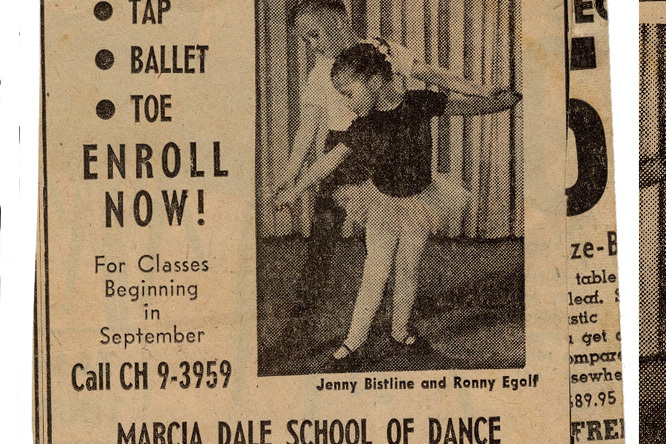 Initially, the school taught tap as well as ballet. Audiences loved the school’s story-based tap shows, and Marcia would sneak in ballet vignettes. Gradually, audiences learned to appreciate ballet, and by the early 1960s, CPYB focused solely on ballet training. 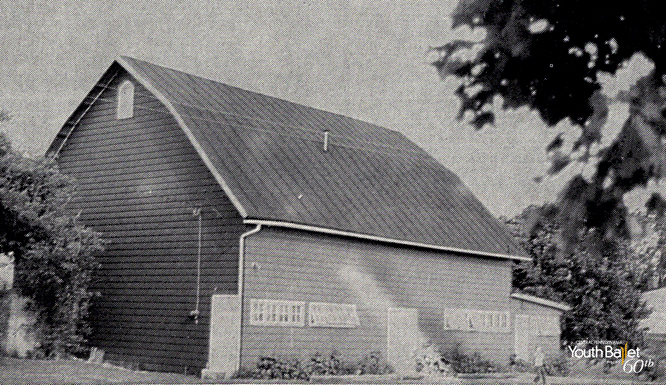 After she and her father looked at hundreds of spaces, the sheep barn behind the Weary home came up for sale. Marcia, Sandy, Dale, and a student’s father renovated to create the first studio. Some students come from extreme hardship. Through their own determination and help from CPYB staff, including times when teachers like Darla Hoover drove to pick them up for class, they overcome obstacles and experience the joy of achievement through dance. CPYB graduate Cameron Essis Gildea, Class of 2016, is a Barn Baby who appreciated the world-class school in her hometown. “I’m very grateful that it’s been around for 60 years and I got to be a part of it for 12 years,” she said as she prepared to study with Pacific Northwest Ballet. A dedicated team powers the school. Whether each staffer teaches in the studios, designs for productions, or runs the business, everyone must “have a love for ballet and want to make it grow,” Marcia says. 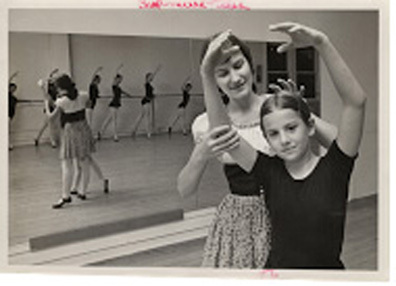 Central Pennsylvania Youth Ballet Founding Artistic Director Marcia Dale Weary instructs a student. The CPYB 60th anniversary celebration features a live jazz band, performing swing-era classics for dancers performing Alan Hineline’s Roseland Pictures. It’s as if CPYB has come full circle, from Marcia’s awe over the grace and glamor of her parents twirling on dance hall floors, to tomorrow’s generation of dancers paying tribute to yesterday’s elegant ballrooms. 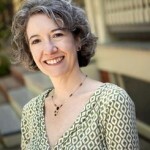 Diane McCormick is a Harrisburg-based writer and lifelong lover of the arts. She is a regular contributor to the Harrisburg Patriot-News/pennlive, Harrisburg Magazine, The Burg, and Susquehanna Style. I was one of the first students and have many fond memories growing up with dance in my life and the wonderful Weary family. I too was one of the first to study with Marcia at the age of 4. Started at the Moose, went to the band hall, then the Barn. To this day I still remember everything that Marcia had taught and instilled in me. I am grateful that I had the Weary family in my life.